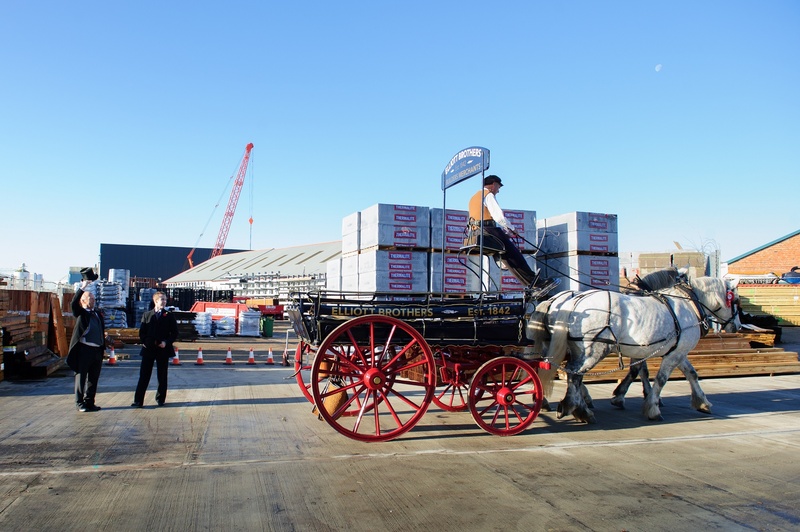 Our staff took goods to Southampton builders RH Hammond in traditional style from our headquarters at Millbank Wharf using an authentic 19th century flatbed dray, pulled by two horses. 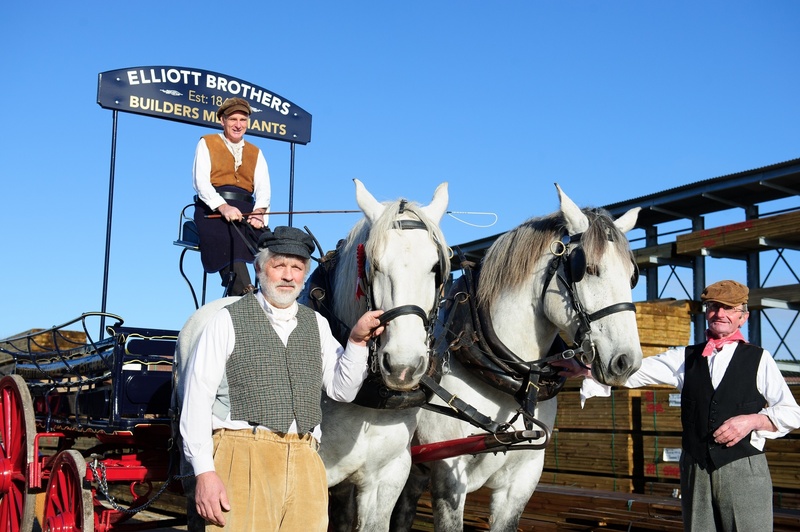 The cart was loaded with sand and timber by Elliotts staff, Roger Tarry and Billy Target, dressed as 1800s yardsmen, before departing to make the delivery to Queens Terrace. There, it was received by longstanding customer Richard Hammond, Managing Director of RH Hammond. 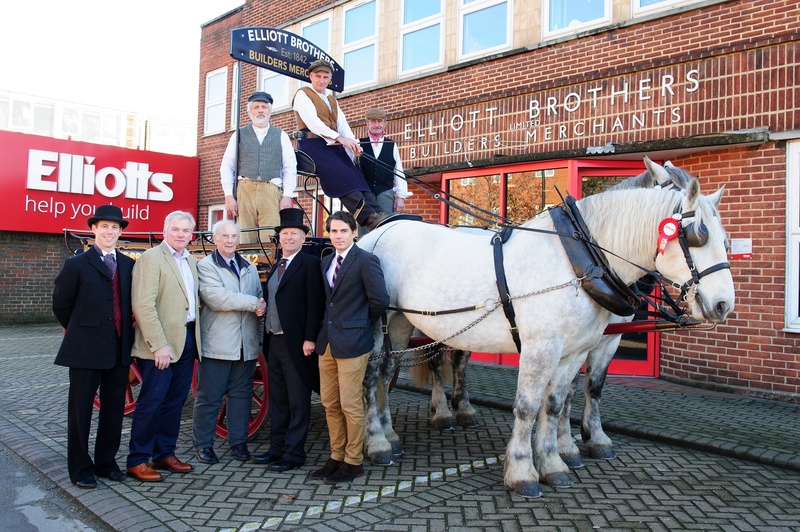 Like Elliotts, the building firm which was founded in 1894 is still family-owned. 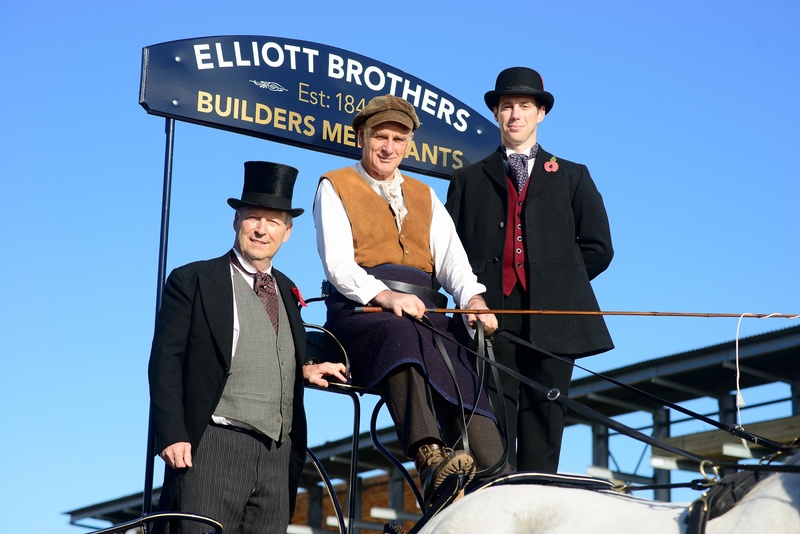 Tom Elliott, Managing Director, and his father Stuart Mason-Elliott, Chairman, dressed in 1840’s attire for the occasion, with Stuart even arriving to site on his penny farthing bicycle. The horse & cart arrived to the delivery location in Queens Terrace, just before midday, where the materials were then received by RH Hammond. 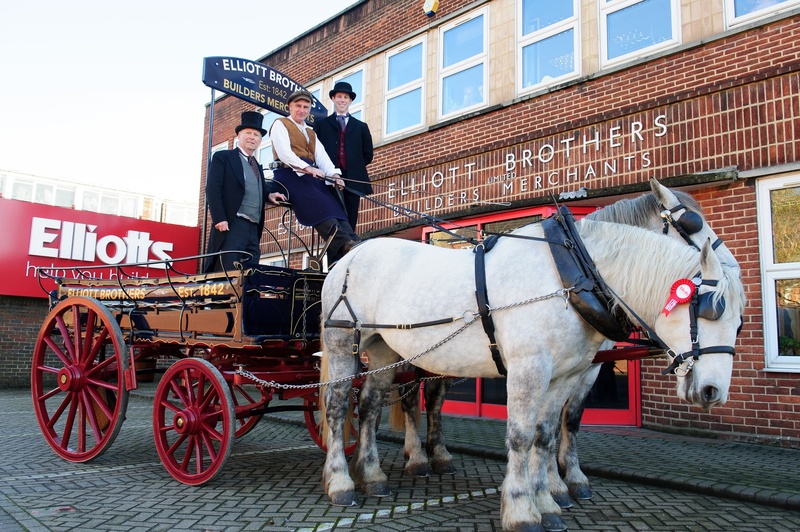 Elliotts employees, Roger Tarry (Left) and Billy Target (Right), dressed as 1840s yardsmen to load the horse and cart. 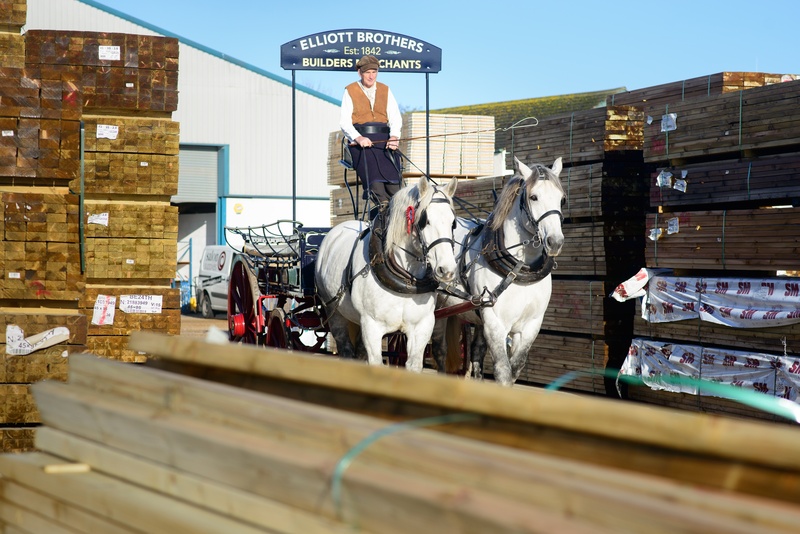 Roger is the longest serving employee at Elliotts, with 44 years service under his belt. 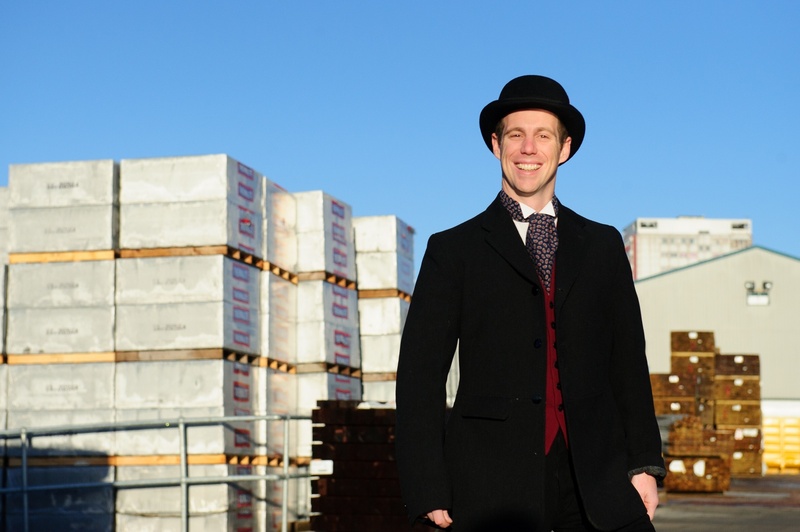 Lorry driver, Billy, thoroughly enjoyed the day, saying, "I've been with the company for 17 years and this has been one of the most memorable days. Travelling through Southampton to the delivery site on the back of the cart was brilliant. It has made my year!" We took over the radio waves! Did you catch us on the local news? 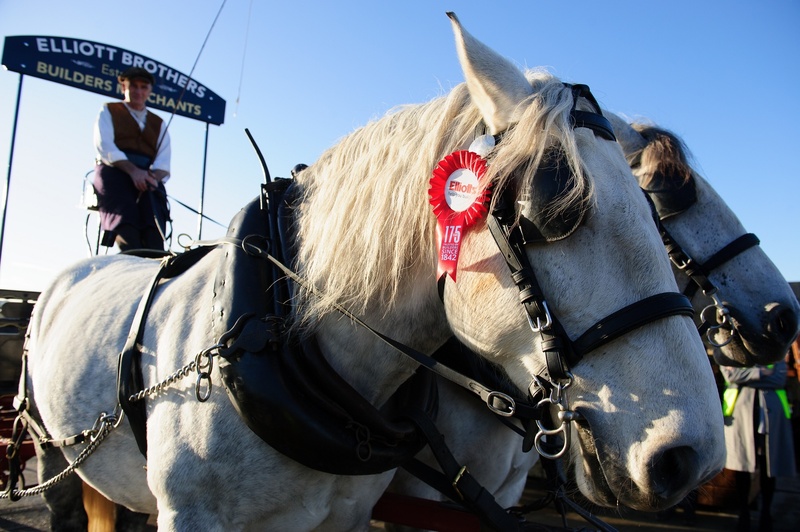 BBC South Today featured us on the 6.30pm local news on the day of the event. We were also featured on the 6pm ITV Meridian news, as well local radio stations BBC Radio Solent, Wave 105, The Breeze and SAM FM. Embedded video for Did you catch us on the local news?